Our three day First Aid at Work Course covers a range of life-saving skills and is specifically designed to enable workplaces, nurseries, schools and colleges to comply with UK Health & Safety (First Aid) Regulations. This course is ideal for those acting as First Aiders in the workplace, who require a knowledge of managing life-threatening conditions and medical conditions. We also provide a one-day Emergency First Aid at Work course that covers basic first aid skills and gives an understanding of the principles of first aid. This course covers emergency protocols only and is suited to any individual who is, or aspiring to become, a work place first aider. You will be given a course book and training pack to take away after the course. This course costs £209.99 per person when booking individually. If you'd like to book a group of up to 12 students, this costs just £1999.99. If you are a charity or community group, particularly those working with children or young people, then please contact us to discuss a discount. 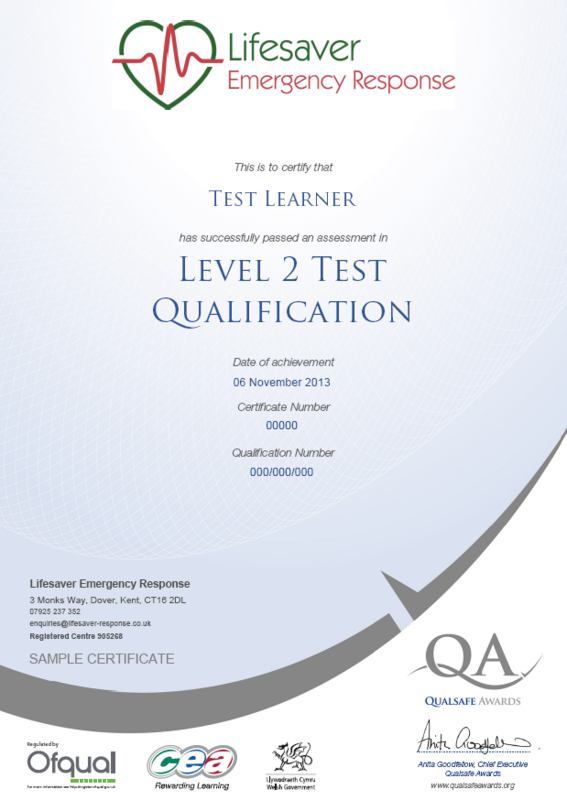 This course is assessed through ongoing trainer assessment, 6 practical skills tests and two short multiple choice test. On successful completion of this course you will be awarded you will be awarded a First Aid at Work certificate, which is valid for 3 years.